Has the food the diners ordered is being served at exactly the right time or cooked at the right temperature? Your kitchen is an orchestra with different team members choreographing the operations during lunch or dinner service to every last detail. What happens behind the scenes the customers never get to see. It takes a lot of planning. How well you can execute everything not just for one table at eight o'clock but for each table all the way through your service, matters. The most essential part for a kitchen is the speciality planning base. Michelin-Star Chef Alfred Prasad talks about the essentials that need to be taken care of when managing the restaurant. I've always been fascinated by the design – the most neglected aspect - and the architecture. For a chef, it is important to know if he will achieve 100 per cent efficiency with the kitchen space and layout. By layout, I mean making things within your reach and making sure there's no cross traffic. 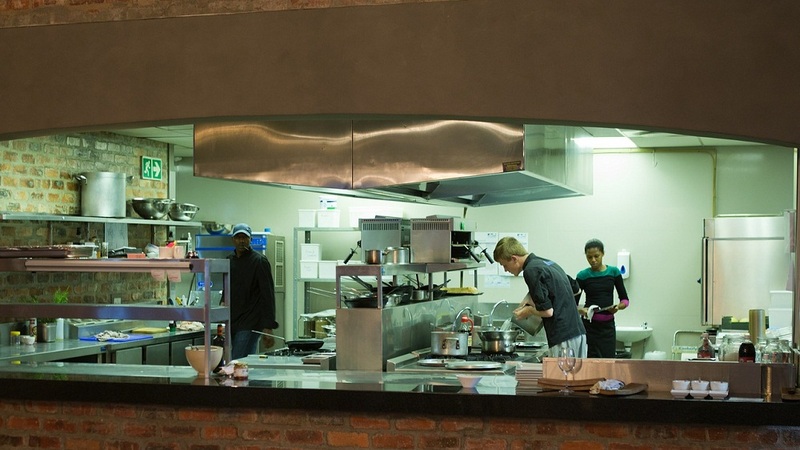 Restaurateurs often fail to give their kitchens the due importance but it is absolutely vital. When it comes to design, what’s more important is, the height and depth of the chair, to check whether the table does not move or rock and if the table has right height and space for the wine glasses, cutlery, depending on the concept. You need to operate the kitchen like an officer. Also Read: How To Keep Your Restaurant Menu on Track? There are acceptable parameters within which your restaurant should fall. If you expect to have a busy dining room and you can't even hear the person in front of you because of the noise, the acoustics are very poor. These are the invisible aspects of a restaurant that actually becomes so much more important than how expensive your curtains are! If your curtains have a functional element of adding to the ambience then they're doing their job. But it's more for what it looks like you're actually making a mistake. The lighting certainly makes such a huge impact. Is the cutlery comfortable to hold, is it the right way, the right shape for your menu? The plates - What thought has gone into the plate. I think the food can only do that much. A good plate can make an ordinary set of ingredients look outstanding. For the selection of the crockery, the cutlery set, the glassware all that becomes important. You could have a signature scent in your restaurant., for example, which is unique to your brand. The music could be a specially-curated player that carries the brand or enhances the brand value. There are so many aspects that should take more importance than I want glass or copper or metal and all of that. I think that's secondary. Primarily, it should be about ergonomics, good design, practicality and functionality to take precedence.